Thinking about changing your hairstyle? There are a countless number of hairstyles from which to choose, all of which have their own unique appearance and characteristics. However, dreadlocks offers several unique advantages that aren’t found elsewhere. Just check out some of the benefits of having dreadlocks listed below. Arguably, one of the greatest benefits of having dreadlocks is the simple fact that it promotes healthy hair. By twisting your hair into locks, it preserves its natural moisture, preventing it from drying out. Dry hair may seem harmless enough, but it can have truly devastating effects. When hair becomes overly dry, it will become thinner, weaker, more susceptible to damage and frizz, and it will fade. So if you’re trying to maintain a head of healthy hair, consider using dreadlocks. With dreadlocks, you can rest assured knowing that your hair style isn’t going to fade away over time. Men and women from across the world have sported dreadlocks for centuries now, with some of the earliest examples dating back to 15th century Egypt and Africa. Since then, dreadlocks have spread into other regions, including North America. While some hairstyles come and go according to current fashion/style trends, dreadlocks remain a time-tested style — and that’s not expected to change anytime soon. Some people automatically assume that dreadlocks are difficult to create and/or manage, but this couldn’t be further from the truth. Granted, some of the different “dreading” techniques are more complicated than others, but there’s actually a way to dread your hair that requires little-to-no work at all. Known as the “organic” method, it involves allowing your hair to naturally grow within the nearby locks. So if you’re looking for a hands-off method to dread your hair, organic is probably the way to go. Of course, there are several other ways to create dreadlocks, so feel free to choose the one that’s best suited for your particular needs. 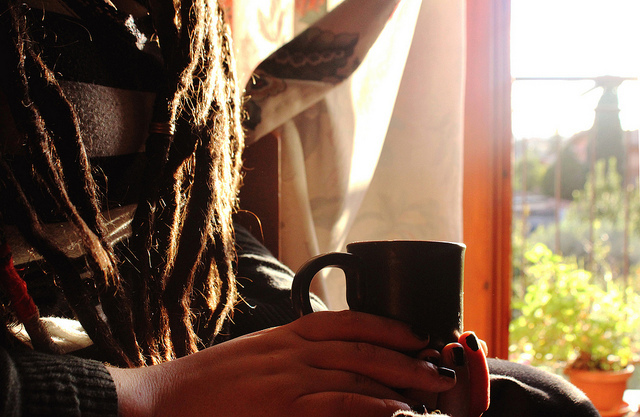 One of the lesser-known benefits of having dreadlocks is its low cost. I know what you’re probably thinking: how can any hairstyle be expensive? Well, many hairstyles require frequent use of shampoo and conditioner, as well as other products. Dreadlocks, however, are low maintenance, meaning you don’t have to worry about washing them everyday. The low cost associated with maintaining them is just one of the many reasons why so many men and women are changing their hairstyles to dreadlocks.